You know that your FICO credit score is a key number. Mortgage lenders will use it to determine whether you qualify for a home loan. They'll also use it to determine how high of an interest rate you'll pay on that loan. You should know, too, that lenders consider a FICO score of 740 or higher to be a strong one, and that scores under 640 are generally considered weak. But do you know exactly what makes up your all-important FICO credit score? It isn't surprising if you don't. 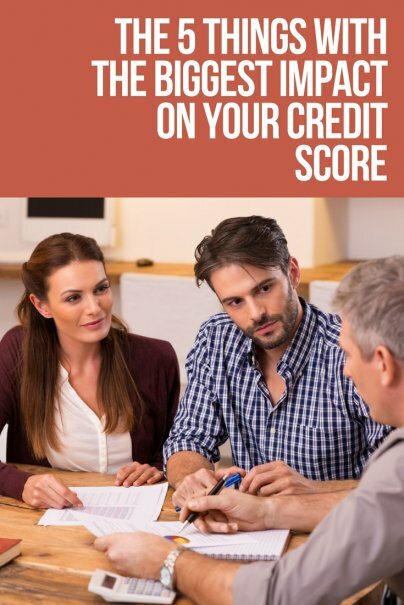 Your credit score is made up of several factors, everything from how often you pay your bills on time to how much you owe on your credit cards. Nothing is more important to your FICO score than your payment history, and this is according to the team at Fair Isaac Corporation, the company that created the FICO score. According to the myFICO website, your payment history makes up 35% of your credit score. Your FICO score will drop — often by 100 points or more — if you have late payments on your credit cards, retail accounts, car loans, and mortgage loans. Missed payments remain on your credit reports for seven years, but decrease in importance as time moves on. Your payment history also includes any bankruptcies — which stay on your credit reports for seven to 10 years — and foreclosures, which remain on your reports for seven years. If you have a good record of no missed payments on all or most of your credit accounts, your FICO score will tend to be higher, though other factors could negate your solid payment history. Owing a lot of money on credit cards and on loans can reduce your credit score. According to myFICO, the money you owe makes up 30% of your credit score. How long you've been using credit is another important factor in your credit score, making up 15% of it, according to myFICO. In general, the longer your credit history, the better it is for your credit score. Your credit history includes the age of your oldest account, the age of your newest account, and the average age of all of your accounts. Your history also includes the length of time since you've used specific accounts. Your mix of credit cards, retail accounts, installment loans, and mortgage loans makes up 10% of your credit score. In general, it's better if you have a diverse mix of credit types. But, according to myFICO, your credit mix is rarely a key factor in calculating your credit score. This factor is most important for consumers who have more limited credit histories and less information on their credit reports. Your newest credit accounts — including credit cards, mortgage loans, and auto loans — make up 10% of your FICO score. The researchers at myFICO say that consumers who open several credit accounts in a short period of time are a greater risk to default on their loans or miss credit card payments. Because of this, the FICO scores of consumers who have opened too many new credit accounts could dip, especially if these consumers have a short credit history. How do you keep your credit score in top condition?